Over the years we became increasingly interested in new building construction, home renovations and retrofits that consume less energy by adopting many "passive" building techniques. The huge benefit of this approach in building construction is a substantial reduction in energy used, exponentially friendlier buildings to the environment and overall healthier living environment for people. Here is the list of the passive design techniques that will greatly cut the energy consumption and reduce building environmental footprint. 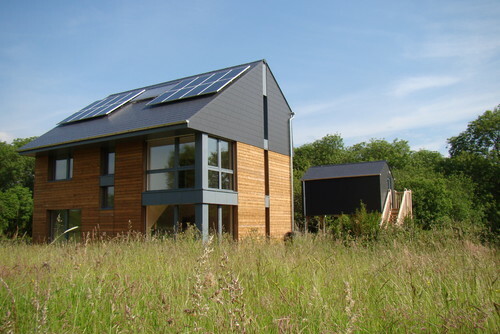 The easiest way is to lower energy demand is to reduce the size of a building and build as small as possible. Between 1950 and 2008 while the average household size has decreased the amount of the floor area per person has increased by over 300%! Recusing the footprint of a building is the single most effective way to reduce the energy consumption. The lower surface-to-volume ratio, the lower the rate of heat loss/gained throughout the building. As a general rule buildings with simple and compact envelope design are more energy efficient because of their smaller surface area. Elaborate and unnecessary details result in additional heat bridges and energy consumption. 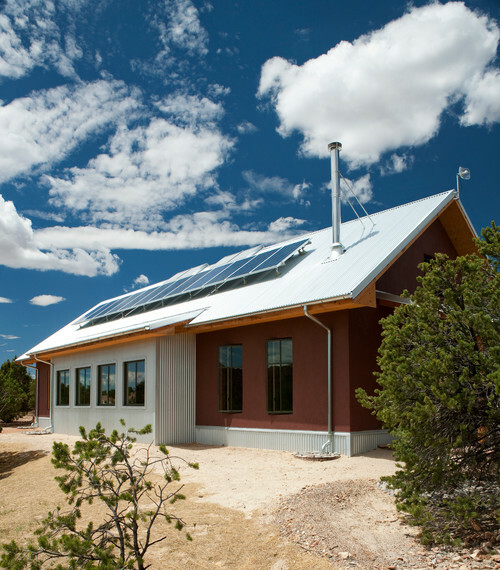 The south orientation allows a building to use more of the sun's energy by absorbing it into the materials of the house and can save up to 25 percent of the house's conventional heating fuel. In winter, when the sun arcs low in the sky, the south-facing glass will let in the sunshine to heat the space. In summer, when the sun is high in the sky, an overhang can prevent unwanted heat gain. As a general rule, the house main ridge line should run east-west and the most windows should be facing towards the Sun. Also, spaces requiring the most light and heating should be located along the south face of the building. Less used spaces should be on the North. An open floor plan is the preferred as it optimizes passive system operation. Ideally, the total area of south-facing windows should represent about 7 to 12 percent of the house's total floor space. Typical houses have their windows equally distributed among all building sites; however in a passive design, high percentage the windows is located on the South facing walls. 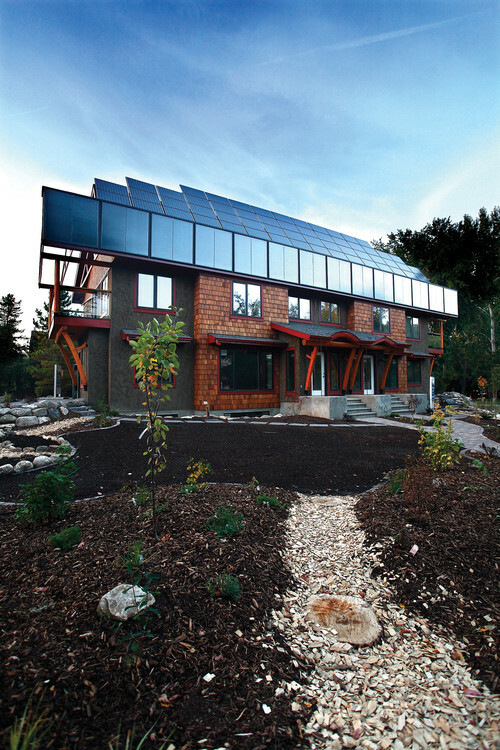 Such a shift would allow the building to use more of the sun's energy by absorbing it into the materials of the house. This technique can save up to 25 percent of the house's conventional heating fuel and, with protection from a shading overhang, can help reduce summer cooling costs. Harmony Home Projects is a design-build construction company and a contractor with profound interests in energy-efficiency construction and non-toxic building materials. If you have any questions and like to discuss your own project please give us a call at (403) 923-2996.